Is the T-REX Badge Included? What brand are T-Rex Lights? T-Rex Torch Grille light info. Size of light, amps, watts, lumens. RMAs (Return Material Authorization), how do I go about returning something? My T-Rex Torch grille has more than one light. Do I need a separate harness for each light? Is my T-Rex product under warranty? How do I start the warranty process? How do I look up part numbers on the T-Rex website? Does T-Rex build custom grilles? Does T-REX Grilles allow for will call pickup? Q: Is the T-REX Badge Included? Dodge re-branded their truck division in 2009 from Dodge Ram to RAM. Grilles for application of 2009 and later are listed under the brand name RAM. Reset the Year, Make, Model, search and use the brand RAM to locate applicable products. LED Light Diagnostics All testing should be performed with a multimeter. A test light will not tell you voltage, it will only tell you if power is present or not. Initial Diagnostics Before you get into more in-depth testing ensure the following 1. Heavy Red wire is attached to battery positive terminal. 2. Battery is fully charged and has charge of 12 volts 3. Heavy Black wire is attached to battery negative terminal. 4. Check fuse to ensure it is not blown. Switch Diagnostics; 1. Center wire wire should have 12 volts at all times. 2. One of the outside wires should have 12 volts when switch is in the on position. 3. The other outside wire goes to ground and runs through the harness and attaches to Terminal 85 on the relay. Relay Diagnostics; •	Terminal 30 – This is the main power wire coming from the battery and should have 12 volts at all times. •	Terminal 85 – This terminal goes to ground thru the heavy black wire attached to the battery negative terminal. •	Terminal 86 – This will have 12 volts when the switch is in the ON position. If no power here when the switch is on, then the switch is bad. •	Terminal 87 – This is the power out to the light and will have 12 volts when the switch is in the ON position. If Terminal 86 has 12 volts when the switch is on, but no voltage is read on this terminal, then the relay is bad. •	Terminal 87A – Not Used •	If the relay chatters when activated, then it is receiving low voltage (under 10.5 volts). Recheck voltage reading on Terminal 30 and 86 and make necessary corrections to restore 12 volts to these terminals. Q: What brand are T-Rex Lights? 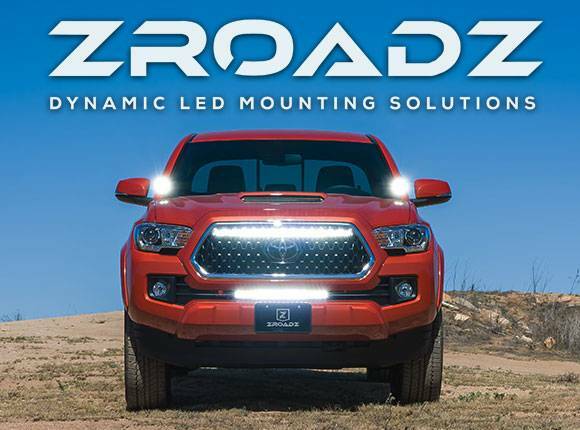 T-Rex LED Lights are a private label ZROADZ brand that we have made to our specifications. We use the highest quality CREE chips, an extruded aluminum housing and a poly-carbonate lens with precision optics. The light pattern and distance is equivalent and sometimes better when compared to other leading brands of LED lights and light bars. Q: T-Rex Torch Grille light info. Size of light, amps, watts, lumens. We use a variety of light sizes in our Torch grilles. 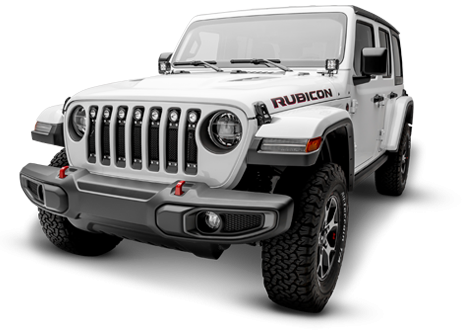 Please contact our customer service department at 800-287-5900 for details of the lights included in the grille you are interested in. Q: RMAs (Return Material Authorization), how do I go about returning something? Contact the company from which the item was purchased and ask for an RMA (Return Material Authorization). Click Here for more product return information. Q: My T-Rex Torch grille has more than one light. Do I need a separate harness for each light? Our wiring harnesses are designed to accommodate a 15 amp draw. If the lights have a combined amp draw of less than 15 amps you can use the harness as is and simply wire the lights in series. If the combined amperage draw is above 15 amps, the fuse will need to be upgraded to the appropriate rating. We suggest using a fuse rated 5 amps higher then the the anticipate amperage draw. The relay in our harness is rated at 30 amps and will accommodate any combination of light bars we currently offer. The downside to using a single harness on multiple lights is they are either all on or all off. Sometimes this is not desirable in which case separate harnesses are required. Q: Is my T-Rex product under warranty? How do I start the warranty process? T-REX grilles are covered by a limited lifetime structural warranty and a three-year warranty on the finish. If you experience a problem with your T-REX grille email details to . Please note all returns are taken care of via email. In the unlikely event that your T-REX grille must be returned for warranty consideration, please follow the instructions below. Ensure the following information is available when contacting our customer service department. 1.Copy of original purchase receipt. 2.Description of the problem or issue. 3.Images of the product defect. The more clearly the images identify the issue, the faster your claim can be processed. 4.Shipping address the replacement item is to be sent to. Please choose one of the following options for warranty processing and indicate your choice on your initial return request. 1. I would like to receive a replacement part before I send my part back – This option will resolve the issue the quickest but will require us to have a current credit card on file. Our customer service department will send you a credit card authorization form and keep it on file until the warranty process is complete. Credit card information will be destroyed once the procedure is done. The return label will be provided in the replacement box. 2. I would like to send my item back to T-REX for warranty consideration before a replacement is sent. You will not be required to submit credit card information using this method. Once you provide all the information being requested T-Rex will provide you with a return label. T-REX will cover the cost of outbound shipping on ground service only. Upgraded shipping (next day, 2nd day etc) costs will not be paid for by T-REX. Ensuring proper internal packing is your responsibility. Damage resulting from improper/inadequate internal packing is not covered under warranty. Damage claims for products shipped to T-REX must be initiated and managed by the shipper. T-REX will hold damaged products for a period of 30 days after receipt or until the claim is completed whichever occurs first, after which the product will be returned to the customer at their expense or scrapped. A product that has been determined to have been modified or abused is not eligible for warranty relief. You will be contacted by T-REX to determine disposition of the product in question. Email our customer service department at customerservice@trexbillet.com with the above information. Once this information is received and the issue evaluated, we will be contacting you with further instructions, so please make sure the email address and/or phone number you provide are your primary email and/or phone number. Please note, open warranty claims must be completed within 45 days of RMA issuance. T-REX wiring harness part number 639HAR1 is the best way to ensure your Torch grille operates properly. This harness simplifies wiring and ensures proper ground and power are applied to your Torch grille. In the event you choose to wire your Torch grille yourself we have found the most common occurrence of non operation of our Torch LED lights can be linked to inadequate grounding or low voltage. All ground wires need to be affixed to a non painted metal surface or directly to the negative terminal on the battery. T-REX Torch LED lights are reverse polarity protected and require a minimum of 10 volts to operate. Please call our technical department at: 800.287.5900 if you need further assistance. Q: How do I look up part numbers on the T-Rex website? If you know the part number, simply enter it into the search box and choose search. Your part number and any variations will be displayed. If you would like to see all grilles and associated parts for your vehicle, simply enter the year make and model into the vehicle look up and all parts will be displayed. Q: Does T-Rex offer sponsorships? For information and eligibility requirements, visit the T-Rex Grilles Support & Sponsorship page. Q: Does T-Rex build custom grilles? At this time, T-Rex does not make custom grilles. T-REX grilles are finest in the industry but do require normal care. Wash regularly as you would when caring for your vehicles. Never use dish soap. T-REX polished grilles should be waxed at the same time that you wax the vehicle and can be cleaned with soap and water. A polished finish can be cared for in the same fashion that would care for your vehicles factory chrome. Be sure to dry carefully with a soft micro fiber towel and never leave wet water spots as that may leave a blemish. Paint warranty applies to defects in material and / or workmanship, it does not cover the matte finish surface appearance. To enjoy the matte appearance for many years to come, please follow these owner care and maintenance tips. Get a no-shine matte car wash soap that uses no fillers, no silicone, and won’t strip your matte paint of its layer of protection. Do not use wax, detail spray, armorall®, or any products made for normal paint. Use only products specifically developed for matte finish paint. Do not use products that are even mildly abrasive, such as polishes, glazes, or rubbing compounds. do not use mechanical cleaners or polishers. Do not use terrycloth, cloth, or paper towels. Do not rub the finish vigorously, this will burnish the paint finish, causing a permanent shiny spot. Shiny spots cannot be removed. Do not use commercial car wash facilities or their shine enhancement products. Most car wash brushes, large mechanized “towels,” and shine enhancement products can damage matte paint. Remove foreign substances such as insect remains, tar, and road debris using a soft applicator and a mild solvent; saturate and soak area before cleaning—rub lightly. Hand-wash with a soft wash mitt and mild cleaning product safe for matte paint. Use microfiber cleaning cloths with alcohol-based window cleaner for basic surface clean-up. T-Rex Grilles with Gloss Black Powder Coated Finish may be washed regularly as you would when caring for your vehicles finish using soap and water. T-REX grilles should be waxed at the same time that you wax the vehicle. As a general rule, anything you use to clean your vehicles painted surfaces can be used to clean and maintain your T-REX grille. A Gloss powder Coated Finish can be cared for in the same fashion that you would care for your vehicles factory paint job. Never leave wet water spots as that may leave a blemish. 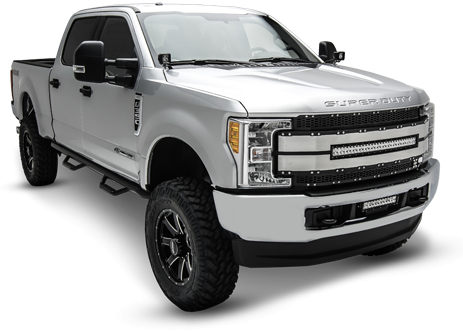 Q: Does T-REX Grilles allow for will call pickup? Yes. You may arrange for pickup with customer service. Just leave a memo note at the time of purchase.